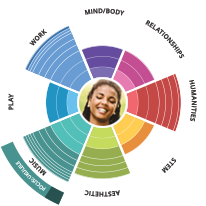 Welcome to Curious, where you can learn more than 25,000 new skills — from French to hula hooping to statistics to mindfulness. Grow your CQ (Curious Quotient) with a brand new CQ Workout every day. Sharpen your brain’s creative, practical, well-being and academic centers. Achieve your learning goals in just 5, 15 or 30 minutes a day. 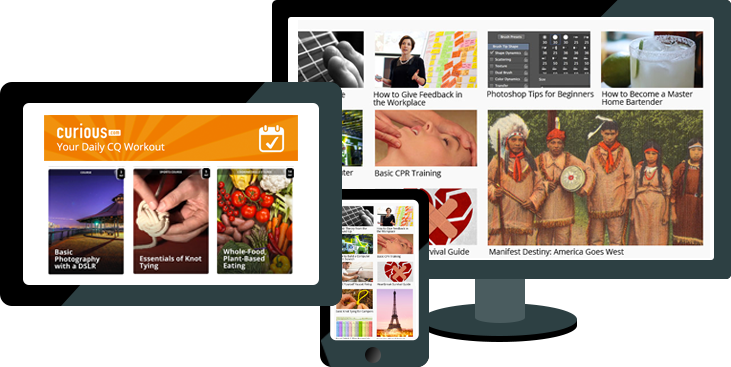 Learn from 25,000 lessons on virtually any topic. 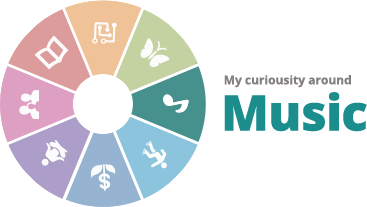 Custom plans that fit your unique lifestyle and schedule. Stay happy and healthy with a science-backed daily workout for your brain.  The Curious Learning Engine helps you build your CQ, or Curious Quotient. We developed the Curious Learning Engine after two years and 5,000,000 learning sessions. It is based on learning science which shows people who stretch their brain—in other words, build their Curious Quotient (CQ)—for a few minutes a day are happier, more successful, and live longer. 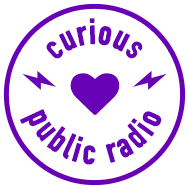 Learn more about the research behind Curious. 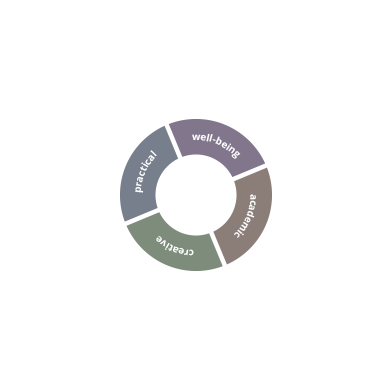 First, tell the Curious Learning Engine about yourself, and your experience levels, and what you’re curious about. You can also choose a learning focus, to build mastery. 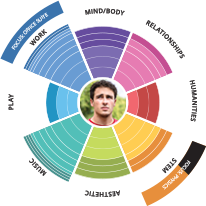 Based on your interview, the Curious Learning Engine generates your personalized CQ Wheel. It helps you visualize your learning progress throughout each month, and compares it to your goals and interests. Share your wheel with friends for extra motivation! Everyone's CQ Wheel is unique. See what yours looks like. 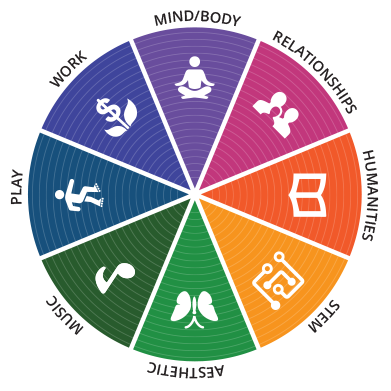 Once you have your CQ Wheel, the Learning Engine sends you a daily workout for your brain. It recommends the best way to build your CQ and achieve your monthly learning goals. You’ll learn interesting facts, view bite-sized lessons, take in-depth courses, and even watch fascinating conversations with curious people. Curious is based on decades of learning science. In the past decade over a dozen influential studies have shown that learning things doesn't just make you smarter — it makes you happier, healthier and even more successful. It doesn't matter what you learn, as long as it's new and sparks your curiosity. Click below to read the scientific research that has inspired the Curious Learning Engine. It’s not about how smart you are; it’s about HOW you are smart. If you want to improve your memory, don't waste your time and money on brain games. 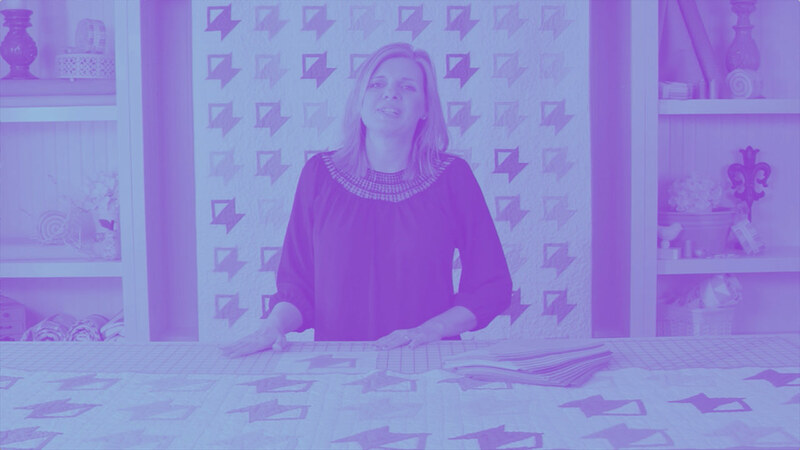 You'd be better off learning to quilt. Success… it’s about stretching yourself to learn something new. Developing yourself. Whether or not picking up a new skill makes you smarter, it certainly makes you… a better, happier, more fulfilled person. Curious minds show increased activity in the hippocampus, which is involved in the creation of memories. Who wants to sit, slogging away at brain training apps when you could be doing something fun like photography? We need, as a society, to learn how to maintain a healthy mind, just like we know how to maintain vascular health with diet and exercise. "States of Curiosity Modulate Hippocampus"